Approx 3 1/2" drop, 1 1/4" wide, on an adjustable leather cord. 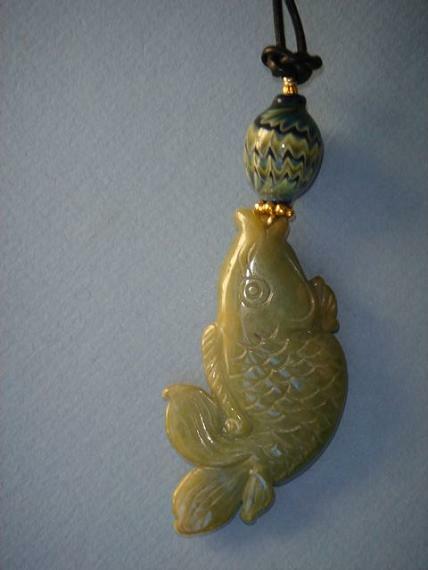 The fish is symbolic of abundance, prosperity and persistence. It is also believed to represent an advantage in business.